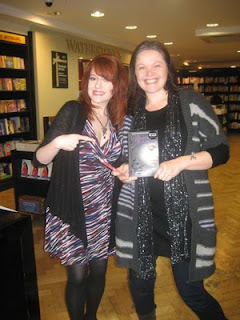 The highlight of the past week was my smackdown interview with Casa Dracula author Marta Acosta. Canadians rule! 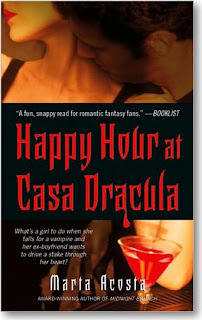 Check out the shenanigans here and enter to win a copy of Happy Hour at Casa Dracula (or one of the later titles) . There are interviews and giveaways still open including Nancy Kilpatrick (Evolve anthology - 1 copy closes March 15). 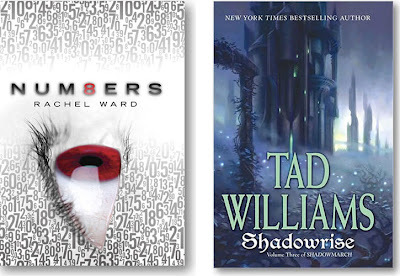 The g iveaways for Numbers by Rachel Ward (3 copies - ends March 17) and Shadowrise by Tad Williams (5 copies - ends March 17) are still open and a giveaway of Angelology by Danielle Trussoni (1 signed copy - ends March 15) was launched. Follow the links to enter. Monday my special guest will be Devon Monk, author of the Allie Beckstrom urban fantasy series. Devon will be giving away two ARCs of the forthcoming Magic On the Storm, the fourth book in the series which isn't due for release until May 4. That means an extra early preview of the next book in this exciting series for some lucky winners! 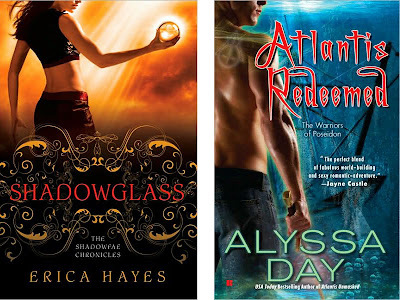 Wednesday, Erica Hayes (Shadowglass) will be back for her second visit and first-time guest Alyssa Day (Atlantis Redeemed) will be here Friday. Amelia Beamer has the first four chapters of her forthcoming The Loving Dead serialized on her blog. Not sure how I missed this, but T.A. Pratt has written and is serializing a fifth Marla Mason book (yea!) after the publisher dropped the series (boo!). Read the first chapter of Broken Mirrors. 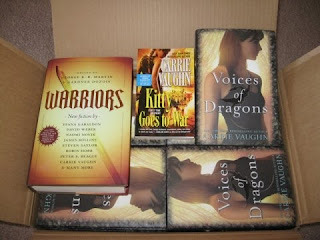 Read the first chapter of Voices of Dragons by Carrie Vaughn her debut YA novel.. It’s an alternate history with dragons, rock climbing, jet fighters, and boyfriend trouble. Weekly interview lists at Literary Escapism. here and here. A recent interview with Neil Gaiman. An impressive library I must say. 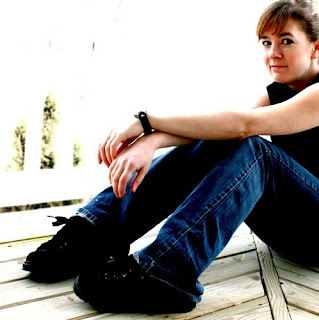 In an interview at All Things Urban Fantasy, Carrie Vaughn provides interesting updates on various non-Kitty projects including Discord's Apple (an end of the world with Greek mythology novel), Steel (second YA novel), and After the Golden Age (superhero novel). David Levithan at Scholastic Press paid a sum the house described as “near seven figures” for world rights to four new books by 28-year-old Maggie Stiefvater. The deal, which Levithan struck with agent Laura Rennert of the Andrea Brown Agency, includes Forever, which will be the last book in the author's Shiver trilogy, as well as three forthcoming stand-alone YA fantasy novels. Stiefvater's current series, a paranormal love story that pulls a page from Romeo & Juliet with one twist being that the male object of affection is a werewolf* ** ***, kicked off with August 2009's Shiver; that title has gone on to spend 28 weeks on the Times bestseller list. Scholastic is publishing Linger, the second title in the series, in July, and planning Forever for summer 2011. Scholastic has also drawn strong foreign attention to Shiver, having sold it in 32 languages to date, and Warner Brothers has optioned the film rights. L.A. Banks recently introduced the President at a political rally and wrote about the experience. A terrific article regardless of your politcal leanings. Richelle Mead revealed that the title of Vampire Academy #6 is Last Sacrifice to be released December 14, 2010. In a surprise upset, Underworld: Rise of the Lycans beat out The Twilight Saga: New Moon for Best Vampire Motion Picture of 2009. Suburban Vampire visitors had a chance to vote for their favorite fanged film of the past year, and Underworld squeaked by New Moon by a small percentage. Check out what The Playlist has to say about the lesbian werewolf film Jack and Diane. SciFi Wire talks about Felicaia Day who will portray a werewolf-hunting descendant of Little Red Riding Hood in the new Syfy Saturday Original Movie, Red. Fox has created a website for the forthcoming Predators movie and has a great teaser trailer. Remember to visit Literary Escapism to vote on the April New Author Mini-Challenge. 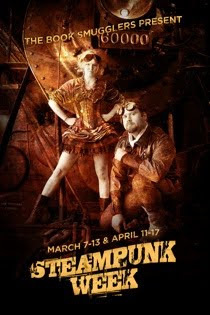 It's been Steampunk Week all week over at The Book Smugglers. Lots of terrific articles and reviews. If you've been curious about what Steampunk is start with Bloggers Talk Steampunk. What I also wanted to do was open this up to you guys, the readers of the blog. What do you enjoy about sci-fi? What are you favourite books and authors? What would you recommend without hesitation, both to hardened veterans and newcomers to the genre? If you want to participate in this (which would be great!) then please email me on mark@walkerofworlds.com. This also goes out to any bloggers, authors and publishers that have anything they'd like to contribute - the more the merrier! Edge Science Fiction and Fantasy Publishing advised me of the Evolve: Vampire Stories of the New Undead book launch event on April 9th, at the World's Biggest Bookstore in Toronto. Evolve editor Nancy Kilpatrick along with authors Kelley Armstrong, Rio Youers, Claude Lalumière, Kevin Nunn and others - including Natasha Beaulieu (Montreal), and Jerome Stueart (Whitehorse) - will join Toronto's Gemma Files and Sandra Kasturi for the event. Several authors will be flying in from their appearance at the World Horror Convention in Brighton UK to take part in the Toronto launch. Tez Says has the UK cover for Magic Bites by Ilona Andrews. Nalini Singh has Japanese covers for Angel's Blood and Visions of Heat. Keri Arthur has the Italian cover for Full Moon Rising. Alyson Noel has the German cover for Blue Moon. Tex Says also unveiled the cover for Jealousy by Lili St..Crow (July 29). I suspect this isn't the final because a couple of runway models don't really reflect the characters well. The guy kinda resembles Taylor Lautner don't you think? Because it's worth repeating here is Blameless”, or “How To Design A Cover in 1:55 seconds” from Orbit Books on the third Gail Carriger Parasol Protectorate book. Stumbling Over Chaos has Misadventures in Stock Photography (Part the Thirteenth) . Karen Mahoney is researching covers to decide what input she wants to provide for her own cover for the Iron Witch. Check out her post and give her your thoughts. 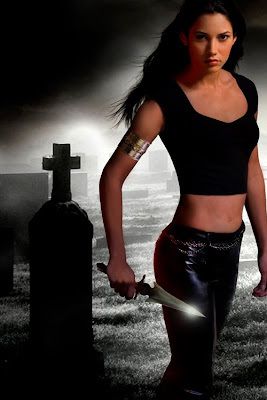 Earlier this week the cover for Grave Witch by Kalayna Price was unveiled. The artist is Aleta Rafton and you can view her work here. To solve this case Alex will have to team up with tough homicide detective Falin Andrews. Falin seems to be hiding something—though it’s certainly not his dislike of Alex—but Alex knows she needs his help to navigate the tangled webs of mortal and paranormal politics, and to track down a killer wielding a magic so malevolent, it may cost Alex her life…and her soul. All Things Urban Fantasy posted covers for Enchanted Ivy by Sarah Beth Durst and the Nocturnal anthology. Tor has a post about “Naked Girls Reading” Tackles SF Asimov would approve. Lynn Viehl posts about Infectious Ten about faddish-type writing that seems to spread along with trends. I particularly liked the Dragonorrhea and HEAlzheimers categories. Snort. Heather Massey has Attention, please! This is your heroine speaking! at The Galaxy Express. Barnes & Noble has launched a new SciFi and Fantasy Blog. 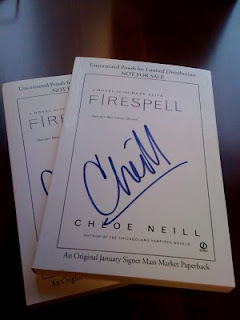 Chloe Neill has Firespell ARCs to giveaway. 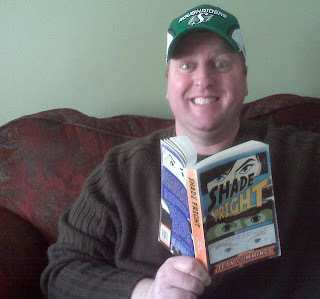 Hi Doug - Your news round-up reminds me of two things I really need to do... 1) I've got to read Shiver by Maggie Stiefvater! I think every teenager in my town has it on hold at the local library, so perhaps I'll have to break down and buy my own copy. Damn kids. 2) I need to see the first Ironman movie before number two comes out. I'm divided on whether the villain with the electric whips in the trailer looks menacing or cheesy, but regardless I've heard great things about the first one. The photo you mention kinda looking like Taylor Lautner is a photo of the actor Steven Strait from the paranormal movie "The Covenant" (Friday Night Lights Taylor Kitsch co-stars with him in The Covenant). In that photo I can kind of see the resemble, but not in his movies or other photos. Rebecca I haven't gotten to Shiver either. No idea why. Love her book trailers for the series. The first movie was just loads of fun. The best summer movie last year IMHO. Irreverent humour. The best kind. Whip guy is Mickey Rourke isn't it? Looks like he's trying to channel Gary Oldman. Wow MsM you know your hotties. I thought it was Taylor. Me bad. Agreed Chris, Maggie looks happy and relaxed. There was another on her blog equally nice. Seriously tho, thanks for the shout out re. my covers post. Poor Sean Cummings. If you look closely you can see his book was so good it actually drove him insane...like the Necronomicon, only more widely available. Karen I'm betting we get to see it lots more too! Looking forward to reading your Moth stories. Keith good one but Saskatchewan fellas are a lot hardier than you think. Sean and don't forget protection against the swallow sized mosquitoes and horseflies! Great report as always Doug! Thanks for the mentions!